Aerial view of the Smithsonian Conservation Biology Institute in Front Royal, Virginia. 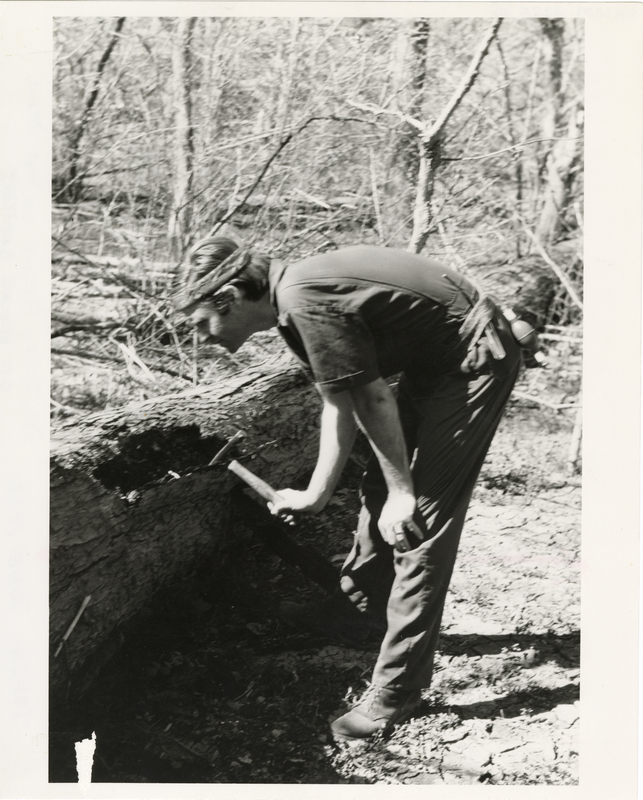 In November 1974, Dr. David Challinor, Smithsonian Assistant Secretary for Science, invited Smithsonian scientists from across the Institution to the National Zoo's Conservation Research Center (now known as the Smithsonian Conservation Biology Institute) in Front Royal, Virginia to participate in the first Smithsonian Inter-Science Conference. 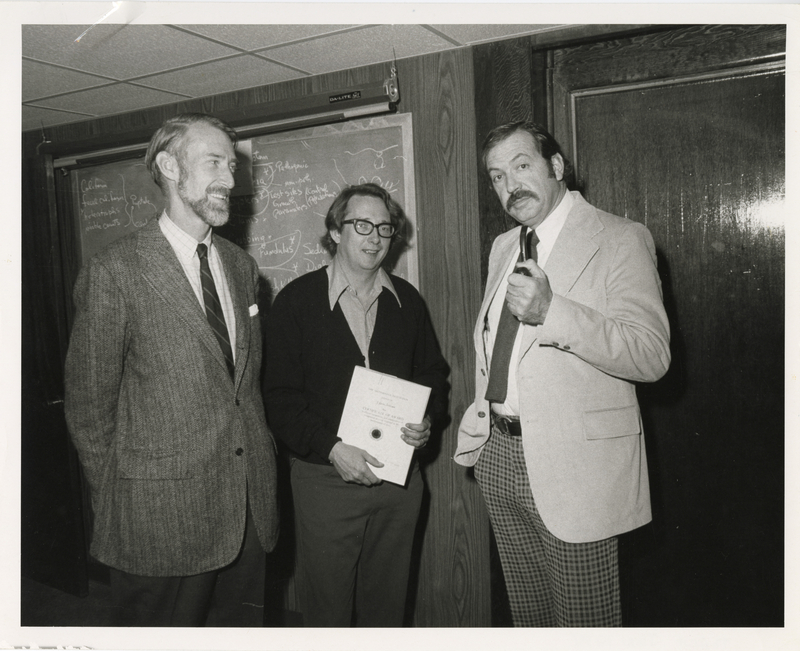 From February 6-8, 1975, scientists gathered to discuss their current research as well as to assess the strengths, weaknesses, and direction of science at the Smithsonian. Among the bureaus represented were the National Museum of Natural History, the Smithsonian Tropical Research Institute (STRI), the Smithsonian Astrophysical Observatory (SAO), the Radiation Biology Laboratory, the National Zoological Park, the National Air and Space Museum, Smithsonian Marine Station at Fort Pierce, and the Chesapeake Bay Center for Environmental Studies (now known as the Smithsonian Environmental Research Center). From an initial pool of some sixty scientists, twenty were invited by Challinor after consulting with their respective bureau directors and his own staff. Those scientists chosen were selected partly based on how articulate they were since part of the agenda called for each scientist to be able to share what they were working on with each other. So biologists from STRI could hear about what an astronomer from SAO was doing and vice versa. 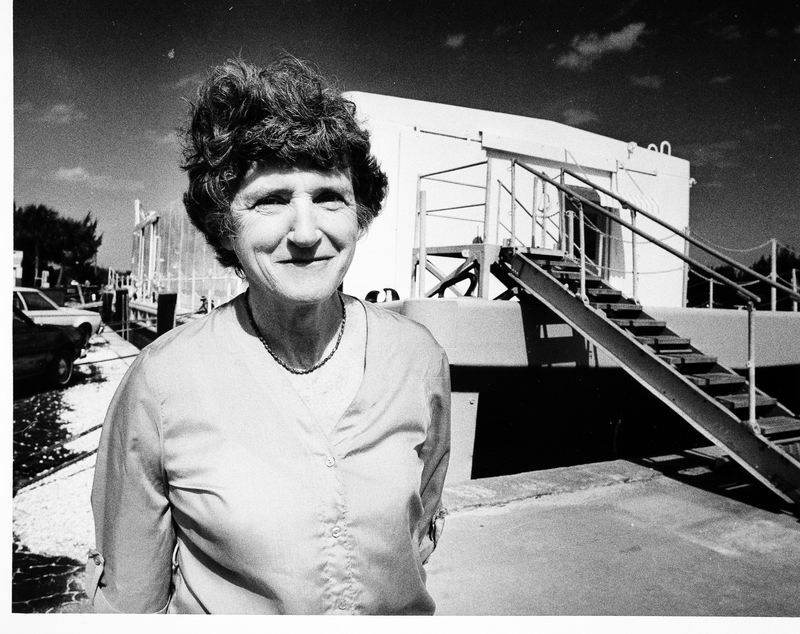 Dr. Mary Rice at Florida Marine Station's Lab. Photo by Dane A. Penland, 1984. Record Unit 371, Image no. 95-255, Smithsonian Institution Archives. 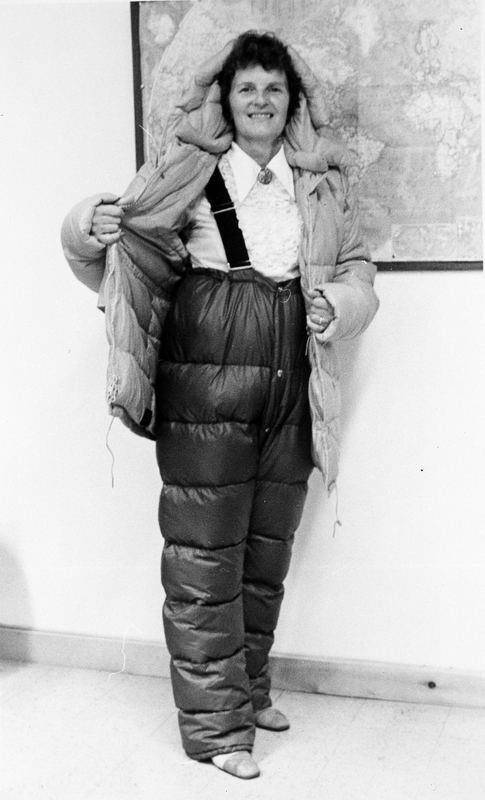 Dr. Ursula Marvin, geologist at the Harvard-Smithsonian Center for Astrophysics, displaying her Antarctic gear. Photo by Charles Hanson, December 1978. Record Unit 371, image no. 96-1022, Smithsonian Institution Archives. Dr. Harvey Tananbaum, Director Chandra X-Ray Center. 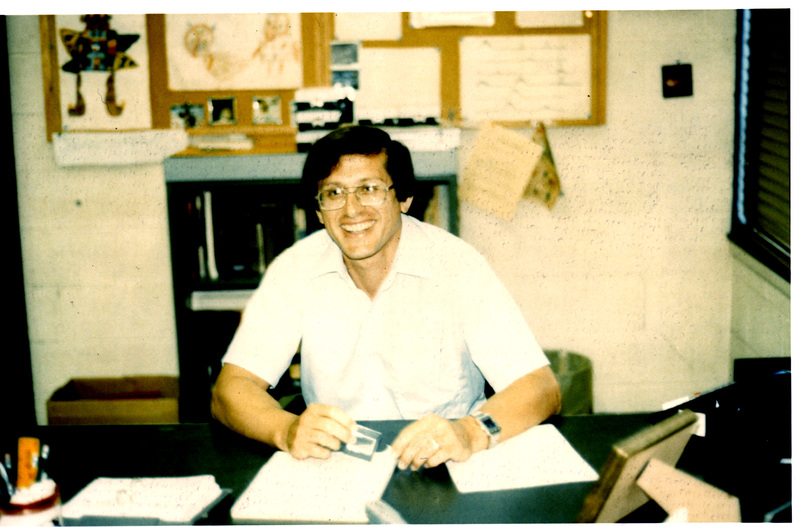 Harvey Tananbaum in 1982 at the Harvard-Smithsonian Center for Astrophysics. Photo by NGST, 1982, Chandra X-Ray Observatory Center. 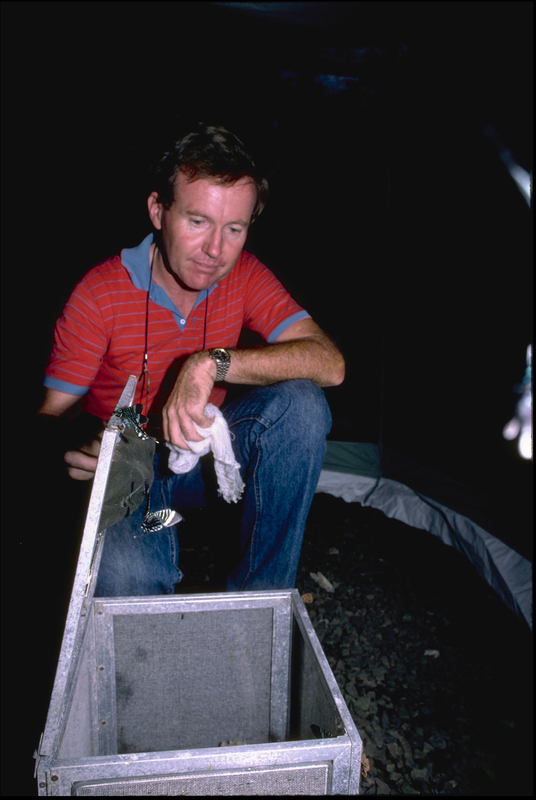 Dr. Terry Erwin, associate curator of Coleoptera in the Department of Entomology at the National Museum of Natural History, looking for ground beetles on Barro Colorado Island, Panama, 1970. Record Unit 371, image no. 94-13188, Smithsonian Institution Archives. Dr. Devra Kleiman, a reproduction zoologist at the National Zoological Park, and Jaren Horsley, the National Zoological Park General Curator, were part of a delegation to visit China to exchange information about Giant Pandas. Photo by Max Hirshfeld, 1978. Record Unit 371, image no. 94-8340, Smithsonian Institution Archives. 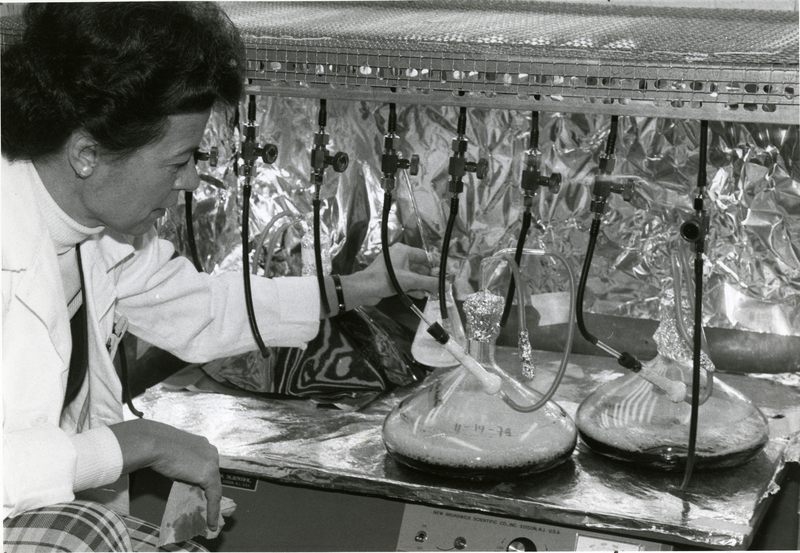 Dr. Elisabeth Gantt, a biologist at the Smithsonian's Radiation Biology Laboratory in Rockville, Maryland, studies algae in solution. Photo by Richard K. Hofmeister, 1979. Accession 98-016, image no. SIA2011-1158 and 79-14206-12A, Smithsonian Institution Archives. 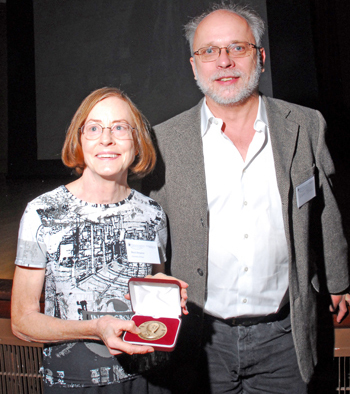 Dr. Beryl Simpson accepts the José Cuatrecasas Medal for Excellence in Tropical Botany with Laurence J. Dorr (Chair of the Cuatrecasas Medal selection committee). Photo by Ken Wurdack, 2010. National Museum of Natural History. Moths with Dr. Neal G. Smith in Panama at the Smithsonian tropical research Institute. Photo by Carl C. Hansen, 1986. Accession 11-009, image no. 88-1756, Smithsonian Institution Archives. Radiation Biology Laboratory lab in the Parklawn Building, in Rockville, Maryland. 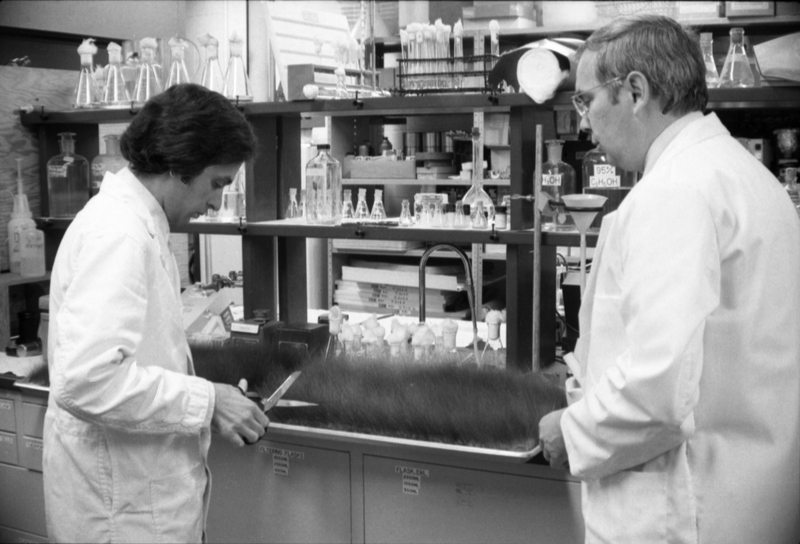 John Azzard, left, is preparing to cut sporangiophores, while Walter Shropshire, right, looks on. Photo by Richard Farrar, March 2, 1977. Accession 11-009, image no. 77-3239-03, Smithsonian Institution Archives. 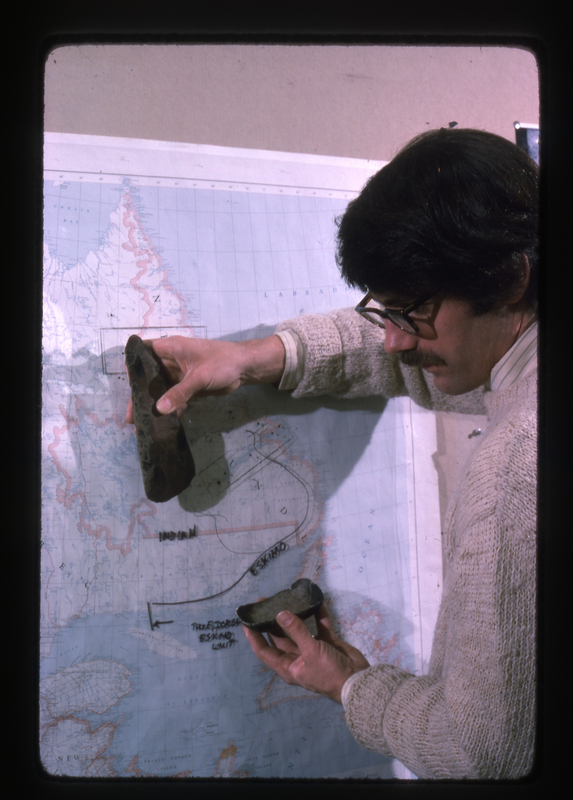 Dr. Bill Fitzhugh, Curator of Archaeology and Director, Arctic Studies Center, stands in front of a map on a wall holding two stone artifacts. Photo by Kjell Bloch Sandved. Accession 95-013, image no. 2013-03918, Smithsonian Institution Archives. 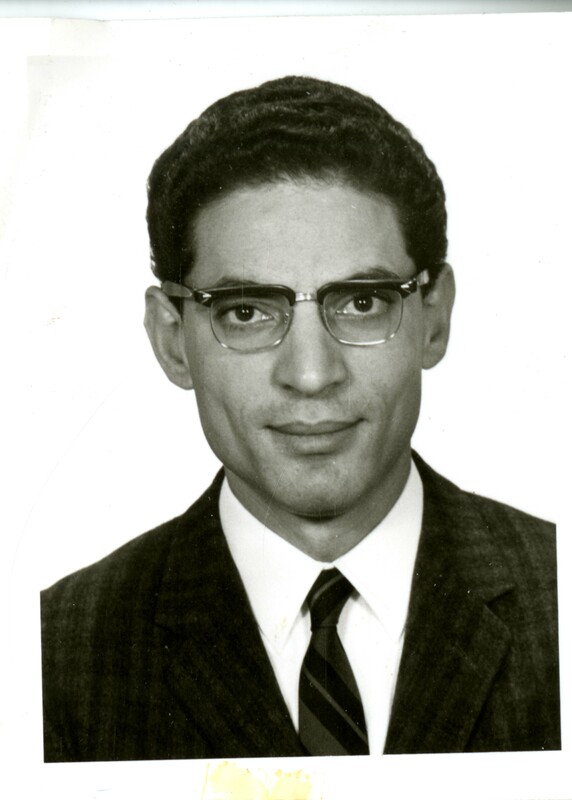 Dr. Farouk El Baz, image no. SIA2010-3012, Record Unit 549, Smithsonian Institution Archives. Dr. J. Kevin Sullivan, Assistant Director of Chesapeake Bay Center for Environmental Studies (CBCES), receives award "for exceptional services rendered in the performance of duty." 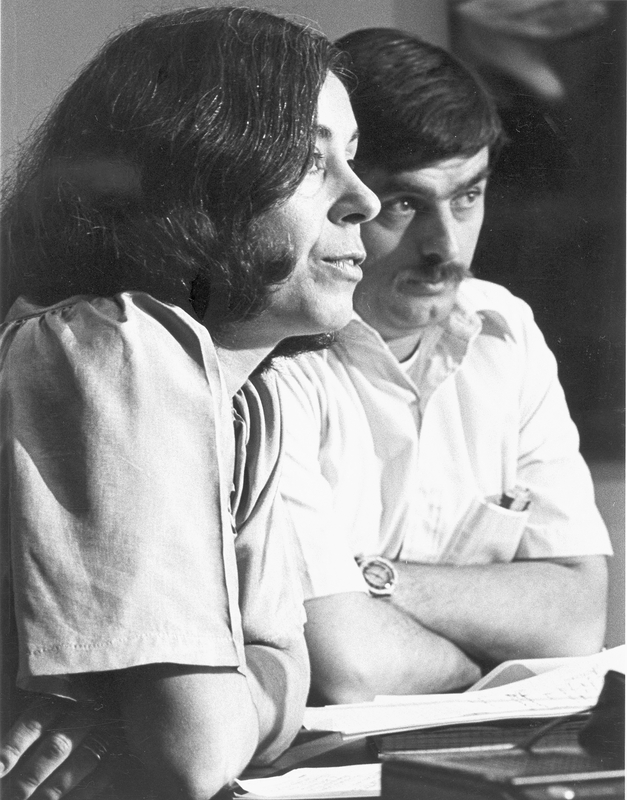 Photo by Richard K. Hofmeister, 1973. Record Unit 371, image no. 73-10511-14A, Smithsonian Institution Archives. 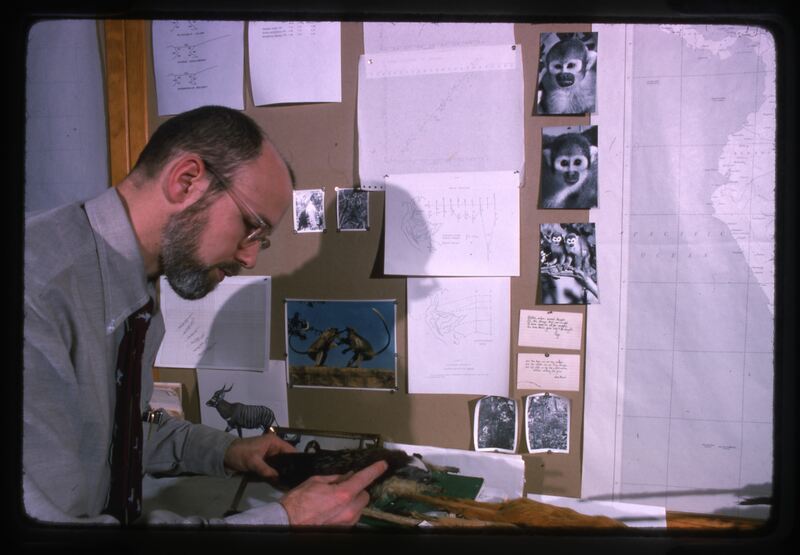 Dr. Richard Thorington in his office looking at a specimen. Photo by Kjell Bloch Sandved. Accession 93-015, image no. SIA2013-04155, Smithsonian Institution Archives. 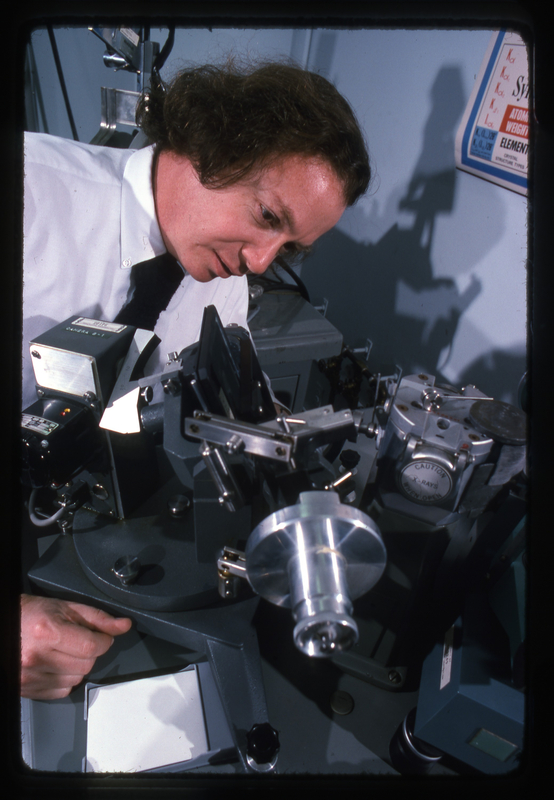 Dr. Daniel E. Appleman, Crystallographer, Division of Mineralogy, National Museum of Natural History, studying a mornsocn on an x-ray diffraction instrument. Photo by Kjell Bloch Sandved, 1975. Accession 93-015, image no. SIA2013-03858, Smithsonian Institution Archives. 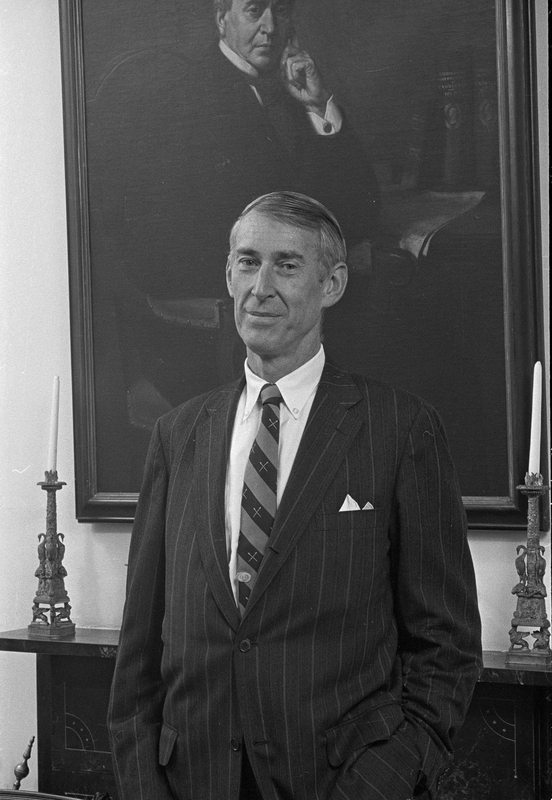 Dr. David Challinor, Assistant Secretary for Science, 1971-1985, Assistant Secretary for Research, 1985-1987. Photo by Charles Phillips, circa 1978. Record Unit 371, image no. 78-17408-11A, Smithsonian Institution Archives. The conference's agenda was compiled by Dr. Erle G. Kauffman, Dr. Walter Shropshire, and Dr. Farouk El Baz. The agenda was meant more as an outline, and the meeting was intended to be as informal and freeform as possible to spark conversations and discussions. Overall, Challinor felt the conference was a success and achieved his goal "to get people together to talk to each other, just to know who each other were."